Area of Interest: Yadrianna’s research is in physical ergonomics and focuses in sensorimotor human performance. She is currently investigating sensory and motor deficits in stroke patients. Specially, changes in upper limb activities. The aims are to determine the degree to which sensory and motor systems functioning differ between individuals affected by stroke and healthy individuals, and to determine whether the origin of deficits are primarily sensory, motor, or from both. This knowledge will be used to develop and adapt rehabilitation procedures to facilitate/accelerate recovery. Area of Interest: Na’s primary research goal is to improve human performance and safety in complex environments by applying human factors to the design, analysis, and evaluation of engineering systems. Her current research interests include human-automation interaction, the design of decision aids that support trust calibration and human factors in healthcare. Now she is working on a project to study the trust between human and autonomous agents and to facilitate human-autonomy interaction. Area of Interest: I have been working on the NIOSH Ladder Study since the beginning of 2015. The study focus on how different ladder configuration, with different pitching, rail height and rung spacing, would affect the risk of falls. In addition, since there are increasing number of female firefighters in the states, we are expected to see advantage&disadvantage for ladder configurations between male climbers and female climbers. Area of Interest: Justin’s research interests are in physical ergonomics and human factors with a focus on the prevention of injuries in the workplace from repetitive motion tasks and overexertion. He is currently working on a project to develop algorithms to predict whole body postures and hand motion trajectories during threading operations and the handling of web material. Area of Interest: Yifan’s main research interest is in Physical Ergonomics, Occupational Biomechanics, and Human Factors with a focus in surgery and operating room ergonomics. He hopes to apply motion capture and inertial sensors in medical simulations to model surgeon movements. His aim is to improve surgeon health and surgery efficiency through by improving the operating environment as well as operating tools. Area of Interest: Kevin is a pre-candidate in the Robotics Ph.D. program. He is interested in cognitive ergonomics and human-robot interaction. Prior to the University of Michigan, Kevin worked for an air traffic management engineering and research company, supporting the development of a new airport surface management concept and automated tool. He has also researched decentralized, multi-robot control via potential functions. Area of Interest: Sol’s research interest is focused in the area of healthcare ergonomics. Her ongoing work involves validating use of inertial sensors for ergonomics posture assessment. She is currently developing algorithms to analyze body postural angles from inertial sensors and 3D motion capture system in simulated work tasks of varying physical intensity levels. This research aims at developing software algorithms to analyze and characterize body postures in patient lift tasks performed by healthcare workers. Area of Interest: Ke is a PhD student in Driver Interface Group at University of Michigan Transportation Institute (UMTRI). Through the experience of her tertiary education over the past a few years, she have had many opportunities to conduct interdisciplinary researches and develop fundamental skills in human factors, mechanical engineering, statistics, and programming. She joined Driver Interface Group in 2015 and has been involved in research on driving simulator (Minisim) studies as well as on-road tests. Her research interests include development and evaluations of driver interfaces and systems. 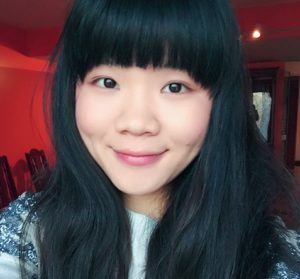 Area of Interest: Yidu is a first year Ph.D. student in the THinC Lab. She got her bachelor degree in Industrial Engineering from Tsinghua University. Her research interest is in cognitive ergonomics. She has worked on a project related to multitasking and interruption management to see how people of different cultures will react to multiple computer-based tasks. Now she is exploring new topics in the area of cognitive ergonomics. 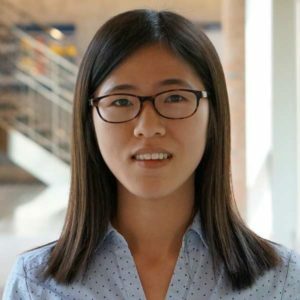 Area of Interest: Ruikun Luo is a Ph.D student at the Interaction & Collaboration Research Lab(ICRL) at University of Michigan. His research interest is human robot interaction/collaboration and machine learning. His research goal is to study how to use machine learning to understand human and how robot makes decision based on the inferred behavior of human. Prior to joining ICRL, he completed his B.S in Mechanical Engineering and Automation in Tsinghua University, China and M.S in Mechanical Engineering in Carnegie Mellon University, US. 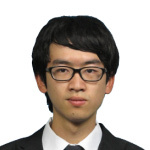 Area of Interest: Yanxun’s research is in cognitive ergonomics and focuses on computational model of human-machine interaction system simulation using large data analysis method. He is currently implementing neural network and reinforcement learning in building user interface ecosystem specially on In-Vehicle Infotainment systems. The goal is to build a self contained user interface design and evaluation feedback model to make quantifiable predictions and evaluations of user interfaces. Also, he is interested in studying human attention and behavior pattern with big data analysis and its related algorithm development. 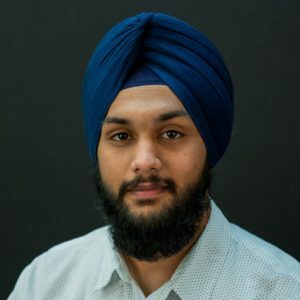 Area of Interest: Karanvir is a PhD student at The Human-Automation Interaction and Cognition (THInC) lab. Prior to joining the THInC lab, Karanvir got his B.S. in Computer Engineering and a minor in Art from California State University of Northridge. He also worked as a software developer and user interface designer at a startup company where he helped develop a unique human-autonomy teaming agent designed to facilitate teamwork between the automation and the human operator of a ground dispatch station that was developed in support of NASA’s Reduced Crew Operations project. Karanvir’s current research interests lie in understanding the evolution of trust over time between humans and machines as well as the design and development of multi-modal user interfaces to enhance human performance. 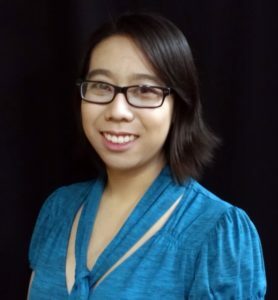 Area of Interest: Kamolnat’s current research interests are in physical human factors and human factors considerations for inclusive and accessible design. She is interested in incorporating digital simulation and digital human modeling into designing for inclusivity. She is also interested in researching means to aid designers in developing inclusive designs through frameworks, tools, or recommended guidelines. Area of Interest: My research is in cognitive ergonomics, with a focus on alarm management for complex systems. I am especially interested in addressing the problem of alarm floods and providing appropriate mapping of alarm urgency in a multimodal environment. I am currently working on a project funded by the FAA to study tactile information presentation on the New Generation cockpits.